For a couple of years I lived in a seaside village in East Yorkshire when, in autumn and early spring, storms would blow in. Sometimes I watched from the cliff tops as huge waves, crested white, rolled relentlessly on to the beach smashing themselves in fury against the cliffs. The raw power of the sea, uncontrollable, unfettered, filled me with awe tinged with not a little fear. Occasionally I would catch a flicker of light on the horizon – some ship making for shelter or just riding out the storm. I tried to imagine what it must feel like to be out there and what it must have felt like in earlier times before modern technology made the sea a slightly safer place. There were times when I watched the RNLI lifeboat launch when it seemed almost impossible for it to remain afloat and admired the courage and dedication of the crew. When all else fails it is the bravery and determination of lifeboat crews and coastguards that save lives. This is the story of the day of February 10th 1871 when a violent gale tested the courage of all who went to assist ships and sailors in distress. For several days earlier atrocious weather forced ships to seek shelter in ports along the north eastern coast of Britain. When a break in the weather occurred, a convoy left shelter and headed south. But the westerly wind that helped them on their way dropped suddenly on the evening of February 9th and many of the ships were becalmed in Bridlington Bay on the east coast of Yorkshire. In the early hours of the morning of February 10th the wind got up, increasing in strength and bringing a maelstrom of sleet and snow. Crucially, it also changed direction and blew from the south-east straight into Bridlington Bay and in doing so trapped many of the ship in the Bay. In the grey morning light, lifeboats and all their crews were readied. Clearly many of the ships were in great danger. Some captains tried to run their ships ashore for safety; others, choosing to ride out the storm, found their vessels driven mercilessly onto the shore by huge waves and boiling surf. Bit by bit, with anchors dragging behind them, 17 ships were thrown ashore to be pounded and smashed up by mountainous waves. Both Bridlington lifeboats were launched. The local coastguards swam or waded chest-high through turbulent surf to pull crews off the nearer wrecks and get them to safety. Townsfolk ran to the sea walls to help out wherever they could. The lifeboat Robert Whitworth went out time after time to the wrecks, snatching the sailors from certain death. In one case its crew fought for two hours to reach a vessel but was repeatedly beaten back. On returning to harbour, exhausted crew members were lifted from the boat with hands raw and bleeding from the oars. By this time conditions were so dangerous the Robert Whitworth was withdrawn from service, having saved 12 lives. Meanwhile the other Bridlington lifeboat, the Harbinger, put out to sea again and again and as one crewman fell exhausted another stepped forward to take his place. However, after the seventh launch, during which sailors from another four vessels were safely recovered, replacement crew were becoming difficult to find. At this point it appeared that the Harbinger, like the Robert Whitworth, would have to be withdrawn. It was then that David Purdon, Harbinger’s builder and John Clappison, his assistant, stepped up and volunteered to take her out. Another seven men came forward to help. 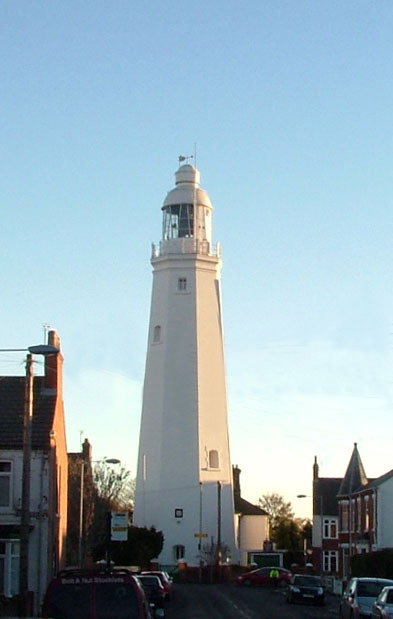 They set off to rescue the crew of the brig Delta, aground and breaking up on Wilsthorpe Sands. On the way they came across another grounded vessel and took off the five man crew, landed them and then turned back to the brig. When they finally got there only one crew member, the captain, remained, clinging desperately to the rigging. The rest had taken to the brig’s lifeboat and drowned when it capsized. Just as the Harbinger hove alongside the Delta a tremendous wave struck the brig sending her crashing into the lifeboat. The lifeboat, hit by the same wave, was thrown into the air and turned turtle. For a few minutes the Harbinger hung upside down until another wave righted her. Only crewman Richard Bedlington remained in the boat; he helped another, John Robinson, to climb back in, using his scarf as a rope. One further crew member, Richard Hopper, managed to scramble back aboard. The six other lifeboat crew all perished, including the first two volunteers David Purdon and John Clappison. All the boat’s oars were lost or smashed and eventually the boat drifted ashore near Wilsthorpe. As the day wore on the destruction and loss of life continued as it became almost impossible to launch rescues, though not for want of trying. Those on shore could only watch helplessly as men struggled for their lives. 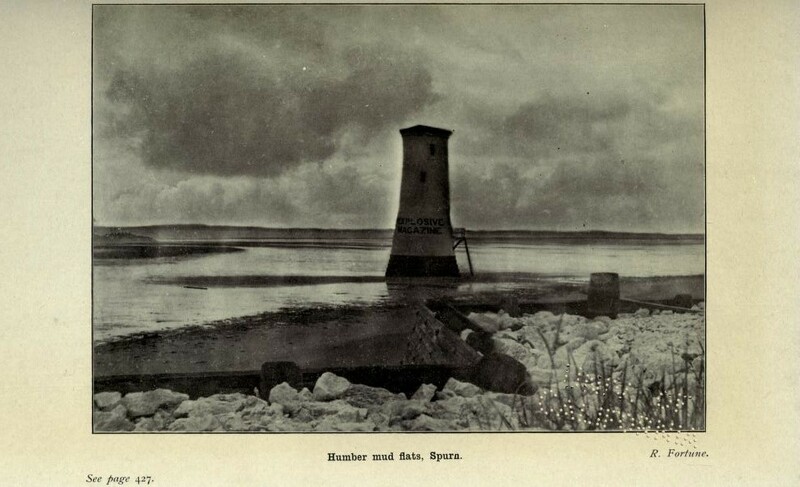 A contemporary report describes how, ‘the piercing cries of the drowning crews were frequently heard amidst the howling of the storm’. All through the night distress signals were seen far out at sea. At daybreak on February 11th the wind dropped and the devastation of the storm was revealed. Estimates put the number of ships lost to be around 30 and the number of lives lost to be 70. On February 14th the first mass funeral took place. An estimated 4,000 people turned out to pay their respects. A public fund was set up to assist the widows and orphans of those lost as well as those who manned the lifeboats. 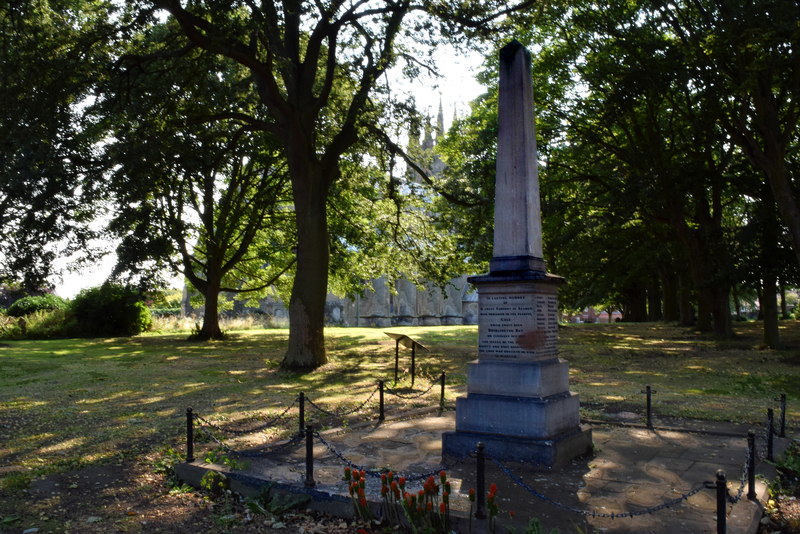 Public subscriptions also paid for a monument erected over the mass grave at Priory Churchyard in Bridlington in memory of all those lost. The inscriptions serve to remind us of the price paid that terrible day. On one side of the monument the inscription gives the names of those lost, ‘whilst nobly endeavouring to save those whose bodies rest below’. 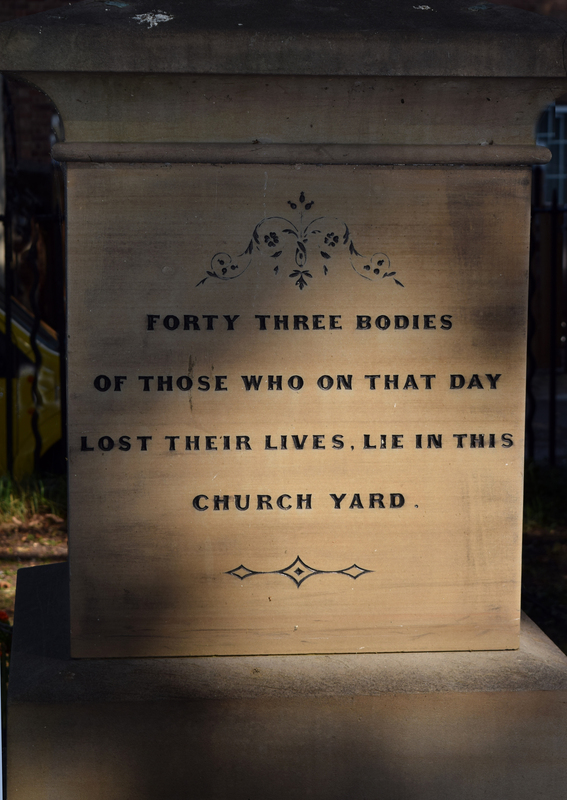 The other three sides contain inscriptions, ’in lasting memory of a great company of Seamen who perished in the fearful gale… on February 10th 1871’, listing the names and number of ships lost before finishing with the grim tally, ‘Forty-three bodies of those who on that day lost their lives, lie in this churchyard’. I’m back from a whistle-stop tour down the East Yorkshire coast where, with copies of my book about the coast “Close to the Edge” in hand and hope in my heart, I did the rounds of libraries, museums, indie bookshops, tourist offices and (thanks to a brill idea from photographer June Berridge) the large caravan parks. It was an enjoyable if exhausting experience with lots of learning points to reflect on. So here goes. 1. You can’t prepare soon enough for your marketing activities. I had a rather fixed idea that it would be better to see people in person (and I still think so) but with that wonderful thing hindsight, I should have at least dropped an e-mail to some of the people I wished to meet. As it was, several were on holiday so I made double work for myself in having to contact them on my return. However, I’ve still managed to get the book into the three relevant libraries. I donated a copy to each of them (received with thanks in these austere times) and they will appear in the local history section. Note to self: in future go direct to the Library Acquisitions person based in local council offices. 2. Be as clear as possible about who will be likely to buy the book and think “out of the box”. June’s idea of the caravan sites, packed with tourists was a brilliant one and I was able to leave wodges of leaflets and sell some copies at those I visited. 4. I had intended to use the flyers as mini-posters believing that the local supermarkets and visitor centres would let me post them on their notice boards. However, they turned out to be more useful as ‘grab and go’ leaflets so the large box of drawing pins and a wodge of blutack were redundant. 5. Be aware of the space that some potential outlets have for displaying books. The tourist offices I visited were small with little shelf space. However, I have been able to do a “sale or return” deal with one of the larger ones but even so, they don’t want to stock more than a half dozen. They take 10% of the sale price by the way. 6. Check opening times! I would have saved myself time and the price of several lattes, if I’d checked earlier for some of places I wanted to visit. 7. Have some sort of ‘pitch’ ready. I’m really uncomfortable trying to sell anything and found myself gabbling away to some poor soul that I cornered. After the first day, it went a bit smoother and by the last day I had it down pat. I wish I’d thought out what to say sooner. Be upfront about price and not apologetic and squirmy. The price is the price – take it or leave it…in the nicest possible way. 8. Listen to what potential buyers/stockists say to you. I picked up quickly on the fact that although the book covers the whole East Yorkshire coastline, the buyers/stockists wanted to know specifically whether the contents covered their specific town/village and was able to adjust what I said to them accordingly. I also found that they were able to suggest other places and people to contact that I wasn’t aware of (see 1 above) so I came back with a load of new contacts. I also learned more about stockists’ buying process and how that works. 9. This is a point I’ve read a zillion times elsewhere – it’s the cover that counts. Even if you’re doing the whole publishing shebang on a shoestring I would suggest that the biggest and best investment to make is in the cover. 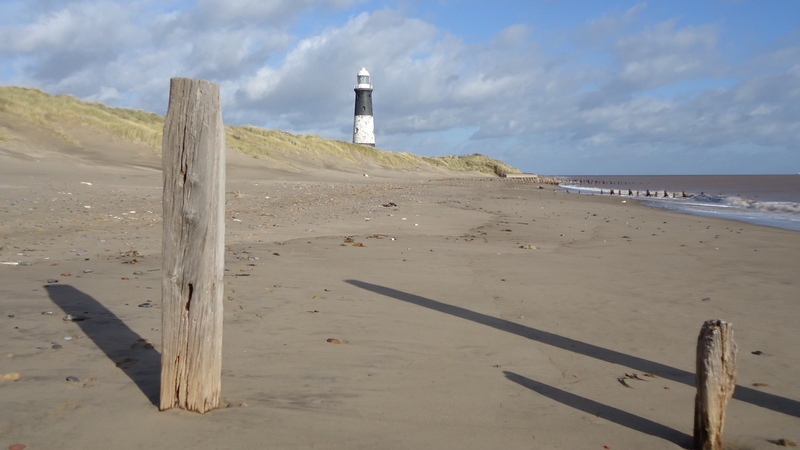 My cover features a photo of Spurn Point which spreads across front and back and drew a lot of positive comments – I think because it’s quite striking and a bit intriguing. But it’s the cover that buyers/stockists look at first, last and in between. They’ll riffle the pages a bit but they always come back to the cover. 10. Finally, if, like me, you have to travel around to do your marketing bit, have a good friend with a comfy sofa where you can flop out at night. Those of you who follow this blog will know that I’ve been struggling somewhat with getting my book “Close to the Edge – Tales from the Holderness Coast” published and available to my eagerly waiting fans (yes all two of you). I have news for you…it’s much harder than I thought! I’m not the most gifted person when it comes to technology and the good folk at Createspace have tried to help me as much as possible but it has still taken 10 uploads of the text to get it right. Mostly the problem has been with the images, photographs in the main, and the complete mental block I have when it comes to pixels, dots per inch and other esoteric measurements. The cover has changed at least five times and the back cover blurb about three times. However, it’s done; the mss is having its final review at Createspace; cover completed, distribution channels selected, keywords and pricing are settled; it’s been a steep learning curve. I don’t want to raise hopes (!) but I think it’s going to be August before Close to the Edge sees the light of day. So now I turn my mind (or what’s left of it) to marketing.I must have read half a dozen books and a zillion articles about “how to do it and what to do” and am left feeling that it’s a full-time job. So how does one market a non-fiction, local history book? 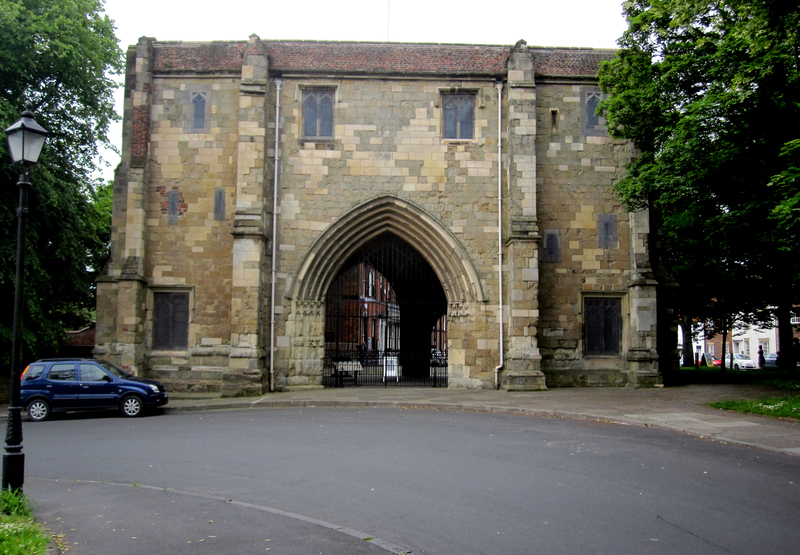 At first I thought only in terms of a local niche market – local residents and tourists. This has now expanded somewhat and my “audience” hit list includes ex-pats in Europe who were once connected with/have an interest in the area; emigrants to the US, Canada, Australia and New Zealand. How do I reach them? The classic answer is through social media and apart from this blog and my Facebook pages I’ve started to explore Pinterest. I think I need to learn how to use Twitter effectively too. I’d be very happy to hear from anyone who has survived their first book marketing project and is willing to share their experiences and tips. In the next few weeks – if you happen to be out and about in East Yorkshire (and why wouldn’t you be) you may well see some tasteful flyers for the book in indie bookshops, libraries, museums and hopefully in one or two visitor centres. I have yet to discover how to persuade these cash-strapped organisations to actually buy some copies for resale and what sort of a deal can be done between us but I’m working on it. I’ve also approached some regional and local magazines, newspapers and, when I get to it, local radio stations to see whether they would do a review or give me a few column-inches/air time. So far a deafening silence but I live in hope. All in all August looks like being pretty hectic but, who knows, it could also be a whole lot of fun. PS Just got a “Yes happy to review” from the Editor at The Dalesman. Thank you Adrian. Those who live and work on the Holderness coast know only too well the dangers to be faced when storms blow up, seas swell and treacherous tides put life and ships at risk. The seabed along this coast is littered with wrecks. 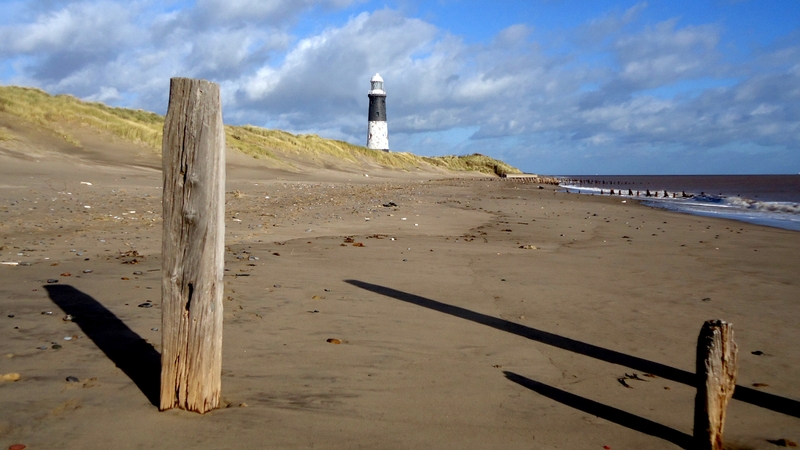 Down the southern half of the coast alone, between Aldbrough and Spurn Point at least 500 shipwrecks have been recorded. One of the better known wrecks is that of The Earl of Beaconsfield, a four-masted, iron sailing barque. She started life in 1864 as Cuba a 3-masted passenger steamer of the Cunard Line and made her maiden voyage from Liverpool to New York in December of that year. She continued to make the Atlantic crossing until 1876 when Cunard decided she was too small to be economical (carrying 160 passengers) and she was sold to D Brown of London. She was subsequently converted to a 4-mast sailing ship and renamed The Earl of Beaconsfield after Queen Victoria’s favourite Prime Minister. In 1877 the ship made a record run from London to Hudson Bay in 78 days. In 1887 whilst bringing a cargo of linseed and wheat from Calcutta she foundered on a sandbank off the coast near Aldbrough. Three tugs were brought out to assist her and tow her off ; the captain jettisoned the cargo to assist the refloat but the weather deteriorated and a heavy swell developed as the wind got up. It was to no avail. Her thirty seven crew members were taken off the ship by the lifeboat. At the subsequent Inquiry the ship itself was valued at £25,000 and her jettisoned cargo at £35,000 – no mean sums in those days. The figurehead from the Earl of Beaconsfield was retrieved by a local family and finally handed over to the Hull Maritime Museum where it is now restored and on display. Today, at low tide her bows can be seen and her stern lies just a few feet under water and she proves a popular dive site.